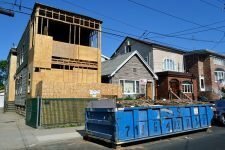 House Flipping Back to Peak Levels – Cause for Concern? House flipping is one of many ways people make money in real estate. Good money can certainly be made, but generally with much more risk than doing rental properties. Thus it’s a good idea to keep up to date with the market and the money that is being made on sales of short-term owners, which is the demographic that a flipper falls in. The amount of housing flipping in the fourth quarter of 2018 was the highest it had ever been in the final quarter of a year since the stat started being tracked in 2004. According to CoreLogic home flipping represented 10.6 percent of all homes sales for the last three months of 2018. Additionally the rate of home flipping has, for the most part consistently grown over the last eight years. Is the Punch Bowl About to Run Dry? Logic would tell us that with more and more people doing it competition is high and profit margins are pressed. While the competition factor may well be full throttle the profit margins have managed to hold steady. Their data shows the profit percentage on flips has trended sideways over the past three years. However, the way flippers are making money is much different from back before the housing crisis when people were speculating on hot price appreciation. Now, buyers are making their money from buying at discounts, increasingly over the past few years in particular. Remember the age old saying “you make money when you buy.” Well it is true! Whether it’s for a flip or a buy and hold rental – the best way to create value in real estate is buying a fixer upper and adding value through renovation, thus creating a property worth more than you have into it. This is what I do with my rental properties, somewhat similar to flipping, but instead I hold them to collect that on going cash flow year after year. Regardless of which route you go knowing your numbers is the most important piece.